Kevin Galalae spells out in this enormously important video (link below) from the Global Freedom Movement the entire system of Global Depopulation which is being run as policy by the United Nations and the conglomerate of 180 governments around the world who are part of this UN agreement–and which includes factors to “promote morbidity–early death–and subvert fertlity,” which have been and are actually being inserted, with dire intent, in: vaccinations, by means of live viruses, mercury, aluminium, and “adjuvants”, 165 food additives and supplements so they carry chemical endocrine disruptors to promote sterility by design including BPA in plastics, city water supplies via fluoride and other drugs to affect brains in Control and Compliance efforts, GMOs to alter DNA, promote sterility, and promote disease, and chem trails or aerosols being sprayed into our atmosphere carrying viruses, molds, nanotechnology, heavy metals, all designed to burden the immune system, transhumanize, and along with wifi and EMFs/ELFs increase human conductivity for EMF/AI mind-control, and promote disease. While all this may be unbelievable to some–it is truly like going through the 5 Stages of Grief to learn about this stuff for the first time–please see earlier articles posted here and here, covering the actuality and reality of a global agenda of essentially genocide and reproductive destruction of the human species. This is a current-day program, with distinct statistical and numeric goals for our current time-period. Men in power–particularly from so-called democracies–have decided the level of our current global population is untenable and have embarked on a system of global genocide, which they have been keeping “covert”–well, it’s covert no more. Kevin Galalae, a truly inspiring activist and researcher who has been hounded, arrested, separated from his children, and thwarted in numerous ways by various coteries of the establishment, reports that his articles are now being published in reputable medical journals (links and excerpts below, and more fully on this page at the Global Freedom Movement website), that he is being “permitted” to speak out currently because the “Elite” –or at least the Vatican, and certain corporations who are cleaning up their act–have understood they are on the wrong track and cannot proceed with their chemical depopulation efforts–although the group as a whole hasn’t abandoned all these other listed methods, in particular, vaccinations to enforce sterility–and reminds the world also that he is currently gearing up for a second hunger strike at the Vatican in mid-April, more on which you can find at his GoFundMe site, where he is seeking monetary support: Stop Depopulation by Vaccination. This is a two and a quarter hour conversation, which is long but hugely important for all of us to watch–please make the time to watch or listen to this interview. Note that Brendan Murphy and Aimee Devlin are stellar and thoughtful interviewers, who run a truly remarkable site, and offer many wonderful, and necessary interviews on an ongoing basis with extraordinary guests. Please support their work. To understand what the globalists are doing to All of humanity, and what the connected truth is regarding the Many Many assaults we currently face, worldwide, this particular interview feels essential. You will begin to see how all these modern-day afflictions and assaults on us are connected–including why people are glibly being named “enemies of the State” and being targeted and harassed, and how and why the United Nations is involved, not to mention the Pope, the Church, and the Vatican. This is something that people globally will be interested to understand. Please share these links widely. The Global Freedom Movement has made helpful notes on the interview at their site, please visit. I’ll post a brief run-through from my notes below. 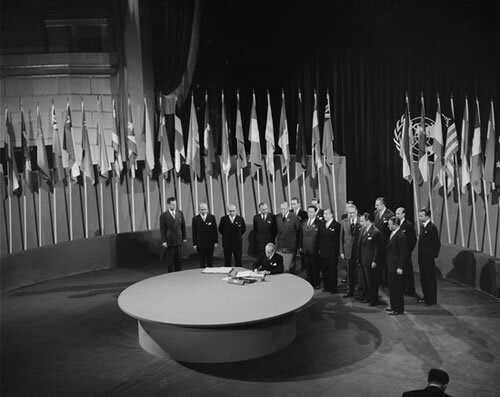 In the video, Kevin Galalae notes that the very inception of the UN in 1945, post the lessons of the II World War, led to the global adoption of the twin goals of Globalization and Depopulation, that they always went hand in hand, and that they were intended to establish peace, and as such initially embodied noble intentions, particularly on the part of those like Roosevelt who helped develop and establish these goals. Anyway, apparently Globalization was predicated on the notion of world resources being distributed unevenly worldwide, and on the need to ensure survival for humanity (more accurately perhaps for the Globalists--perhaps we can understand them as the Transnationalists, now at the helm of huge corporations spanning multiple countries) by making all resources available on a common global open-market at prices determined by supply-demand. Depopulation as a concept was initially built around peace-preservation, resource-preservation, including and especially fossil fuels, and eventually environmental preservation. Today, Kevin reveals, Depopulation, which was initially overseen solely by the United Nations and its agencies–who remain at its core–is overseen by the Executive Branch of every nation, essentially the government of every nation. The UN agencies which are still currently particularly involved are: The United Nations Development Fund, the UN Economic and Security Council, the World Health Organization, the World Bank, the International Monetary Fund (IMF), and the Food and Agriculture Organization. The military-industrial complex plays a major role: “Covert chemical and biological methods to subvert fertility and promote morbidity are run by the military-industrial complex who conceive the methods and run them on the populace.” In other words, Defense research labs and Defense contractors are avidly engaged in concocting and delivering methods of fertility-reduction and morbidity-advancement (via chem trails, bioweapons, endocrine-disrupting additives). (Doesn’t this sound like a conspiracy theory?) All things Covert however, appear to derive from Conspiracies. Ever since, national leaders have used the moral permission given by Church leaders to subvert fertility under the pretext of curing one disease or another, be it tooth decay (hence depopulation by fluoridation), vitamin deficiencies (hence depopulation by GMOs), infectious diseases (hence depopulation by sterilizing vaccines), food poisoning (hence depopulation by endocrine disrupting substances), and respiratory illnesses (hence depopulation by aerosol spraying/chemtrails). Kevin says, “their perspective is about having to stop us from committing abortion/infanticide,” and adds that the longevity of the Church has resulted in transient, changing governments tending to rely more on the Church for the enforcement of these measures, because they know they cannot oversee generational goals. Do people know the Church is involved? Most would not imagine culpability in that arena. Autism from vaccines, respiratory diseases and dementias from chem trails, allergies, syndromes, cancers, early deaths: who would suspect the Church? Have There Been Changes in the Church’s Approach Lately? “In a January 28 interview with Hong Kong’s Asia Times, in which the Pope spoke about China, he admitted that the West controls its population and that the Church has been part and parcel of this experiment. He also declared that the experiment has gone wrong and that “other possibilities” are now being considered. Not only is this the first public admission that the West and the papacy are involved in population control, it is also an admission that the program of population control has failed and that the time has come to try “other possibilities”. What Are These Other Possibilities? “Over the course of 2015, however, it became clear that neither our spiritual nor our political leaders have changed their ways. They only changed their methods of committing genocide on the sly. While stalling the removal of endocrine disrupting chemicals from our food and environment they introduced mandatory immunization programs under the pretext of combatting influenza, malaria, polio, TB, and a variety of other diseases, including childhood illnesses. Industry, governments, and the Church are dropping endocrine disruptors added to foods and vitamins–but turning to drug companies and Defense contractors to vaccinate our kids and us and spray the whole lot of us into infertility, disease, and early graves? Both an immediate and a generational action, notes Kevin, and hardly progress. The long and the short of it is, according to Kevin Galalae, these Depopulation maestros continue to be infatuated with their Doctrines of Scarcity and their statistics and demographics which give rise to their Demographic Transition models and their narrow calculations on human utility, human functionality, and human disposability. They are working on concepts such as “Peak Life Expectancy,” which decrees that human productivity only occurs within 20-60 years, so enhanced life spans up to 90 and so are really not desirable, from an economics perspective; governments want to limit your dependency on them fiscally speaking, and so would prefer to see you vanish off the face of the earth by age 70. He also notes that these programs are being enacted, enforced, and pursued so ardently and so ruthlessly that anyone opposing these programs of depopulation and genocide–whether by vaccination or chem trails or fluoridation–are being named “enemies of the State” and being hounded, harassed, retaliated against (such as he himself has experienced) by the Globalists. Is this how so many worldwide are now being targeted as “Targeted Individuals,” and being subjected to a globally identical program of gangstalking, character assassination, uber-surveillance, and covert assault with directed-energy weapons? There is most definitely a Globalist air to that circumstance. But are these “world leaders” willing to turn responsibility over to the world’s people? One point he makes as he notes that they don’t currently seem like they’re capable of such largesse is that it will take away from them the power of selectivity, where they—the State, the UN, the Vatican—choose who gets to live and who to die, who gets to procreate and who is condemned to become infertile. While he ascribes the reason for selectivity to an interest in promoting human superiority, genetically, it appears from other analysts and scenarios currently that in fact the opposite is being practiced: our “elite” are more interested really in promoting compliance, docility, passivity, intellectual slightness, even autism apparently, rather than brilliance, individuality, awareness, ingenuity, creativity, and a critical and questioning mind. “Elites and slaves are who they want left,” is how Dr. Rauni Kilde put it, and judging from how the intellectually and critically questioning among us are being horrifically targeted and harassed today, that seems to ring true. We must be aware too that we are on the lip of a Revolution via Robot—robots are being slated to take over industry variously, as per many military documents and projections on this subject; take a look at posts at Activist Post covering the loping-along, face-making, getting-back-up antics of New Age robots coming out of labs at DARPA and MIT and other Universities and companies today. So maybe what these Globalists are envisioning are, in a Post-Chem-Trailed and Post-Vaccination future bristling with the mind-controlled and vaccine-injured are: Themselves, Transhumanized, Autistic Slaves, and Robots. In any case, Kevin Galalae is planning a new hunger strike this April 15, in Rome, at the Vatican. Please read more about it, please support his efforts as you can. Truly, this is a one in a million kind of activist who is taking extraordinary action on behalf of all of us—and our children. He hopes both to go on an extended hunger strike and to write letters daily to Vatican leaders. “I will do the hungering and will be center stage, but I will not succeed unless civil society supports me in every way possible and makes my presence in Rome known to the world. Throughout my hunger strike I will scold the clergy in daily letters to the Pope for the Church’s past and present crimes. – Pope Francis accords me an audience. – Pope Francis and the College of Cardinals publicly apologize for their complicity in genocide by constraining secular authorities to covertly damage our fertility and longevity so long as they cure us from a bodily disease. 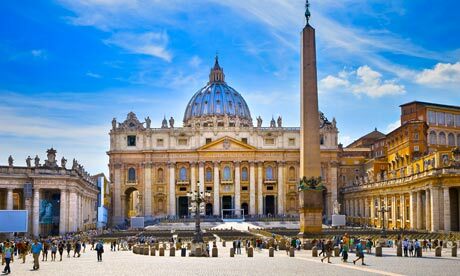 – The Church changes its doctrine on birth control by issuing a new encyclical letter to replace “Humanae Vitae: On the Regulation of Birth”. Please pass this information on to alternative media/anyone who will cover, please help to publicize these profoundly meaningful actions of activism, do what you can to help. Truly, we are in this together. We must act now, while we still have our lives, our children, our health. And our minds, our voice. Honestly, I think even a child could tell the Pope and the UN that global genocide is not the answer. This entry was posted in Waking Up and tagged chem trails, Church, Covert Depopulation, endocrine disruptors, FAO, fluoridation, Genetics, Global Depopulation, Global genocide, GMOs, Governments, Hunger Strike, IMF, Kevin Galalae, Overt Globalization, Pandemics, Pope, Promote Morbidity, Subvert Fertility, UNDF, UNESC, United Nations, vaccinations, Vatican, World Bank. Bookmark the permalink.